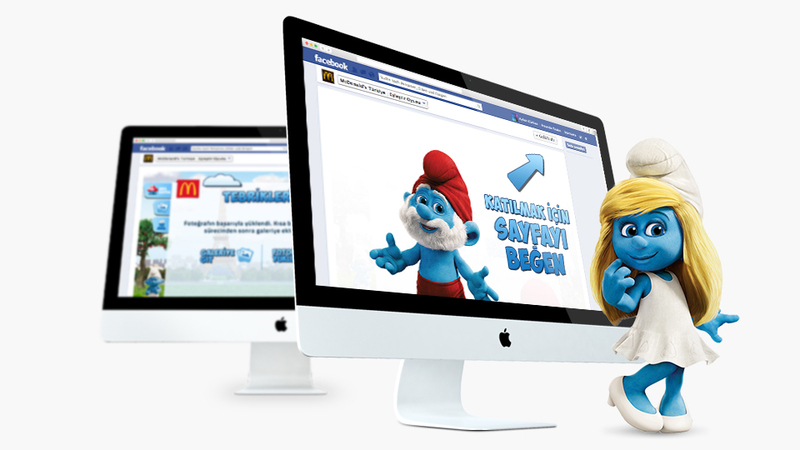 Simultaneously to the smurfs movie, McDonald's Turkey launched a Facebook campaign in 2013. A photo upload app should be the right way to catch new fans for their facebook page. Finally i created this amusing app where user can upload their picture, get voted and win many prices.